The Future of Tooth Brushing! You have updated your car, phone, televisions, kitchen appliances, wardrobe, etc... so why are you still using a manual toothbrush that was invented in the 1930's? I believe you all are ready for the future of tooth brushing...the electric toothbrush! Easy to use. The toothbrush does all the work for you. Less work for better results. Studies show that electric toothbrushes do a much better job of cleaning your mouth and removing plaque. More fun to use for children. Children love to take the easy way out when it comes to chores. If your child doesn't enjoy brushing their teeth, try having them use an electric toothbrush. It’s less work, it tickles their teeth, and the timer will let them know they’re all done! It’s a lot easier (and more fun). Built in timer. Need I say more? Helps to eliminate bad breath. An electric toothbrush and regular flossing can work together to get rid of bad breath by finding and eliminating the food between your teeth. Here at Dr. Kapecs office we recommend Sonicare! 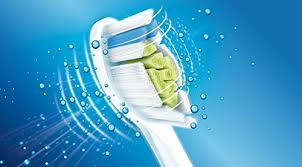 Philips Sonicare removes up to 7x more plaque than a manual toothbrush. That’s because it makes 31,000 brush strokes per minute, compared with a manual toothbrush’s 300 brush strokes per minute. It also makes it far easier to keep the hard-to-access areas of your mouth clean. If you are on the fence about buying a powered toothbrush, talk to Dr. Kapec the next time you come in for a teeth cleaning. Schedule your appiontment today, call us at (336) 272-4193 or schedule online!